Xīnnián kuàilè – Happy New Year! Home/Collections & Research/Xīnnián kuàilè – Happy New Year! This week marks the beginning of the celebrations for Chinese New Year. Because this is a lunar celebration the date changes each year – this year it began on February 5th. Chinese New Year is one of the world’s most prominent and celebrated festivals and is one of the longest festivals of the Chinese calendar, beginning the evening before the first day of the year and culminating with the Lantern Festival held on the 15th day of the year. Also known as the Spring Festival each New Year is associated with one of the 12 zodiac animals. 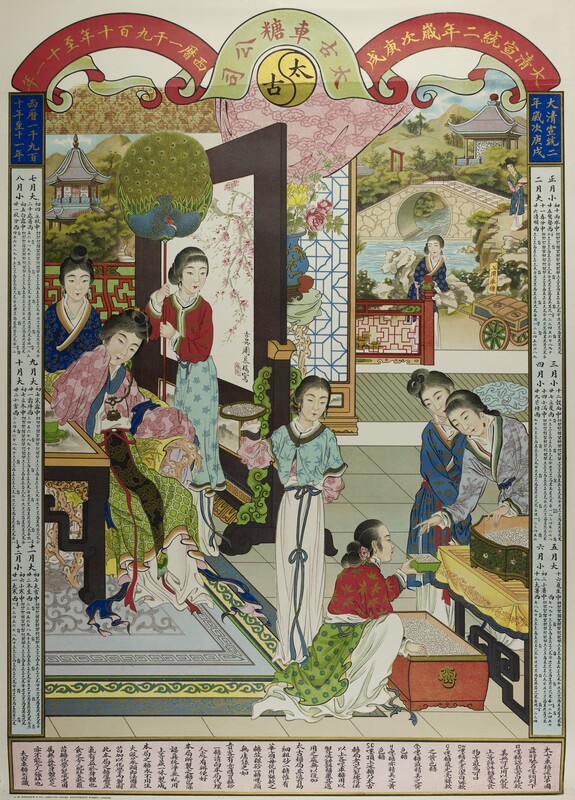 The reputed characteristics of each animal is attributed to the new year with which it is associated, and by extension to those born in that year. This year we welcome in the year of the pig. Pig is the twelfth in the 12-year cycle of Chinese zodiac sign. Pigs (and, therefore, people born in the year of the pig) are considered to be diligent, compassionate, and generous and to be determined and helpful. Not very smart and easily fooled, the pig is nevertheless believed to be calm when facing trouble and to have a great sense of responsibility. These calendars, produced on behalf of the Taikoo Sugar Refinery were presumably made to be given to wholesalers and distributors and such like. This print, along with prints of other calendars produced for the Refinery and to promote Butterfield & Swire as an agency for Insurance brokers were printed by Kronheim, a famous German printer working here in London. Aylward was an independant missionary in China from the 1930s until her death in 1970, working from the late 1940s at the Gladys Aylward Home for children. 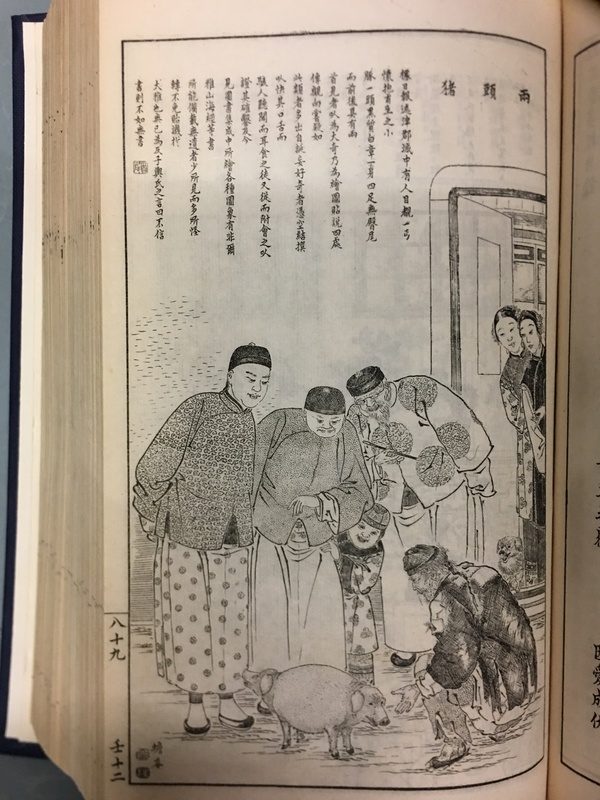 Beautifully illustrated, with both Chinese and English text, this was presumably a memento collected by Aylward to send to friends and family back home in England. If you’d like to know more about these collections, or any other of our collections then please do get in touch. You can drop us a line at: docenquiry@soas.ac.uk. Wishing you all a brilliant New Year!